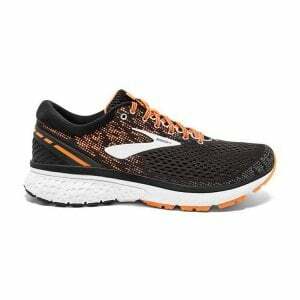 The Brooks Ghost 11 exists to provide excellent cushioning without sacrificing on responsiveness. This paired with Brooks’ trademark comfort has to be why the Ghost is constantly a best seller for the brand. 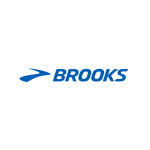 The Brooks Ghost 11 is a neutral running shoe that offers a ton of cushioning and support. It has a medium arch which supports my average feet nicely. 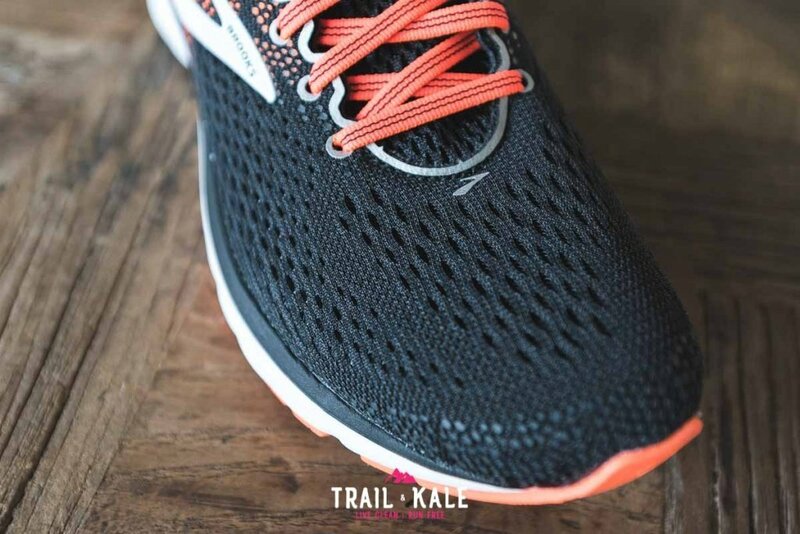 I really like the meshed upper material that breathes well and stretches as your feet expand and shrink due to external factors and varying effort levels. 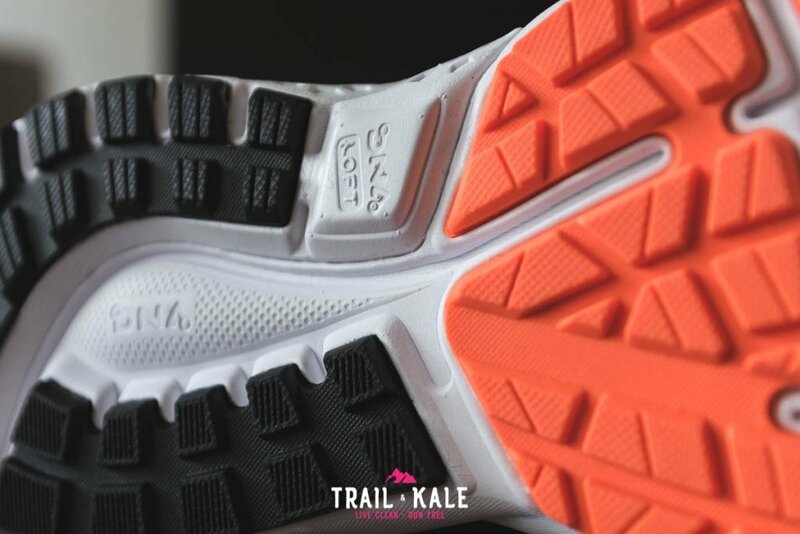 There’s also a little bit of stretch in the laces to help keep your feet comfortable as they move while running. You’ll find a good selection of colors available for the Ghost 11 at zappos.com, but see our merchant price checker below to see where you can buy them the cheapest. When I slipped the Ghost 11 on for the first time, I was amazed at how comfortable they felt. As you can imagine, I try out alot of running shoes, but this one has to be one of the most comfortable yet. I mean just look at how inviting the heel and Achilles wall looks in the picture above, talk about soft and silky! The upper mesh has been structured to provide stretch and support where needed and I think it does its job really well. The inner mesh is a key factor in making the Ghost 11 so comfortable. The material of the inside layer of the upper is made from the same fabric that’s on the heel wall. So it’s not what you see on the external side of the upper, which is good because that probably wouldn’t be very comfortable! 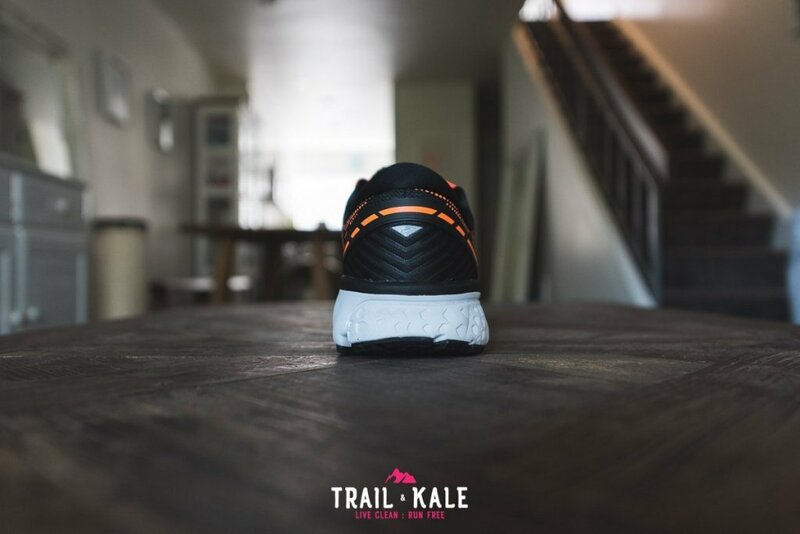 I really like the soft cushioned material here and the fact that the wall doesn’t extend too high up the heel, similar to the Brooks Cascadia 13 trail running shoe that I reviewed last week. I’m still recovering from a mild Achilles injury and am able to run in these shoes with no pain in that area at all and that makes me a happy chappy. I noticed great cushioning for the heel underfoot too. 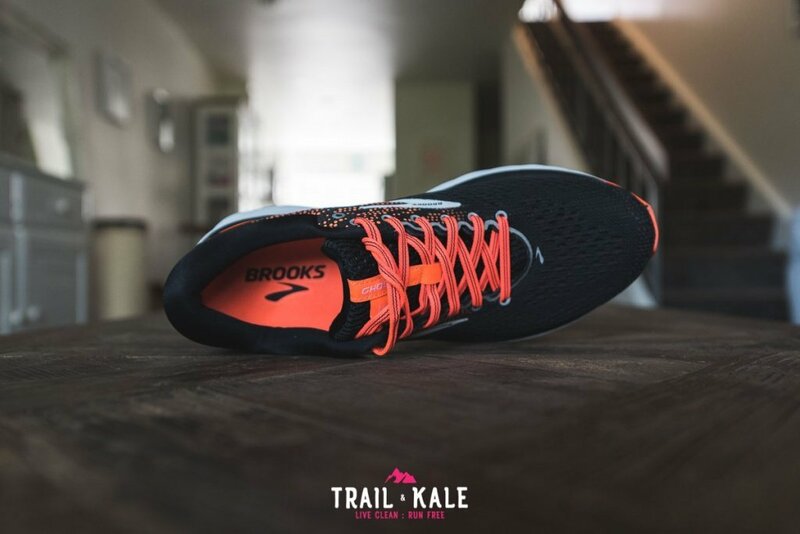 Brooks’ patented “BioMoGo DNA” and “DNA LOFT” provide the shoe with just the right amount of softness underfoot without sacrificing on responsiveness. The two materials are also pretty light and durable. The tongue is quite thick and offers plenty of padding between the top of your feet and the laces. The laces are a sensible length and I don’t have to do a double knot for fear of them coming undone. There’s also a little bit of stretch in them for when your feet expand and shrink slightly as and when your body heats up or cools down. I like the staggered pattern of tread on the Ghost 11. It has been designed so that no matter how you land, you should still get maximum grip. This closeup image shows that there’s also a very fine micro faceted texture on the sole that adds extra grip on slicker surfaces. The sole has integrated shock absorbers too, which are the rounded edges that you can see connecting the colored grip sections with the bottom of the shoe. The Brooks Ghost 11 has a heel to toe drop of 12mm, which is more than I’m used to running with but actually it doesn’t seem to bother me when on roads. I’d still love to see this taken lower to 8mm or so for a slightly more natural ride. 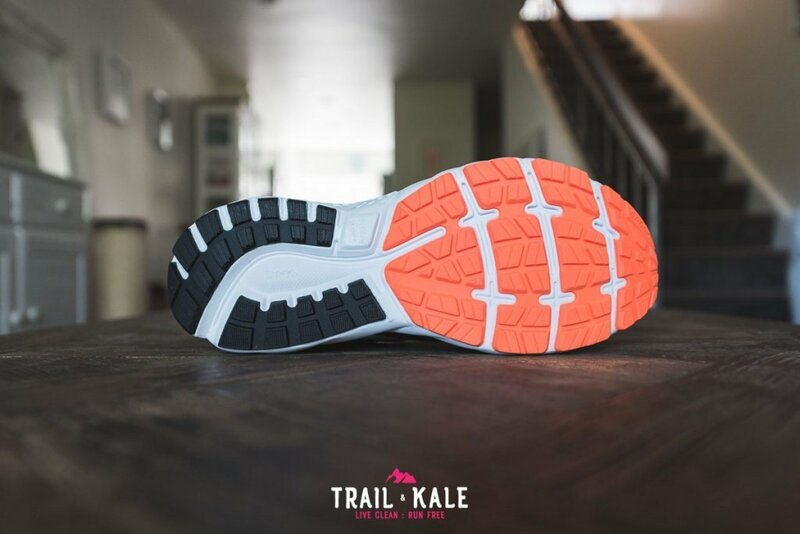 The toe box has plenty of wiggle room for your toes and feels airy inside due to the breathable upper. 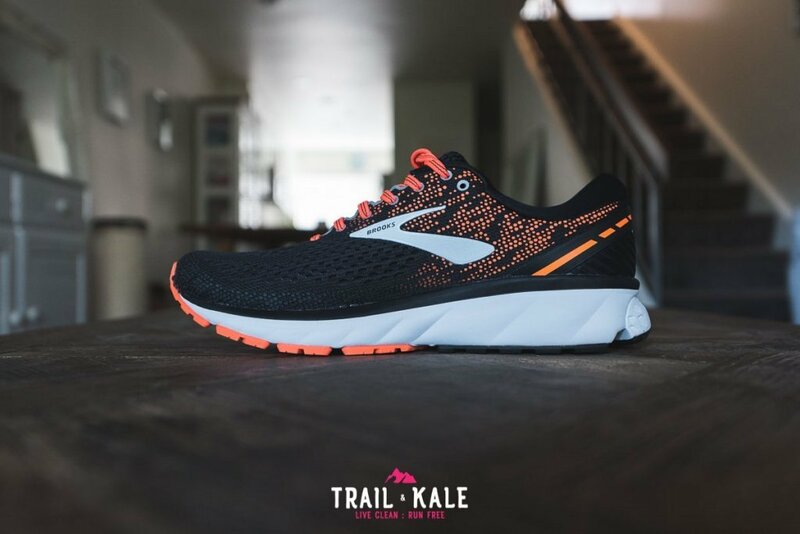 This particular shoe has a medium width which fits me well as I have average sized feet but the Ghost 11 is also available in “Narrow B”, “Wide 2E” and “Extra Wide 4E” sizes, so I’m pretty sure Brooks have you covered if you have wider or narrower than average feet. The Brooks Ghost 11 weighs 309g (US M 8.5). This isn’t the lightest but for a shoe with this much cushioning and comfort it’s a compromise that’s worth making in my mind. My first run in these shoes took me over the Golden Gate Bridge in San Francisco. Here’s a video of myself and Helen running in the Brooks Ghost 11, to give you an idea of how they look while in use, hope you enjoy! Road running is fun when you’re hitting goals and your feet aren’t in pain. 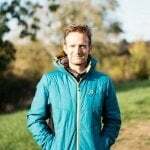 Although you’ll mostly find me on the trails, I also love running on the roads so that I can train for speed and mileage consistently without having to worry about too many hills or technical terrain interfering with my training ‘numbers’. The Ghost 11 are so comfortable that I find myself looking forward to my next road run, knowing that I’m going to be able to push hard and get faster without my feet suffering for it. The Brooks Ghost 11 is an absolute delight to run in. They are very comfortable, offer plenty of support and cushioning, are breathable and stretch to my feet as I run. This shoe is a real winner for me! 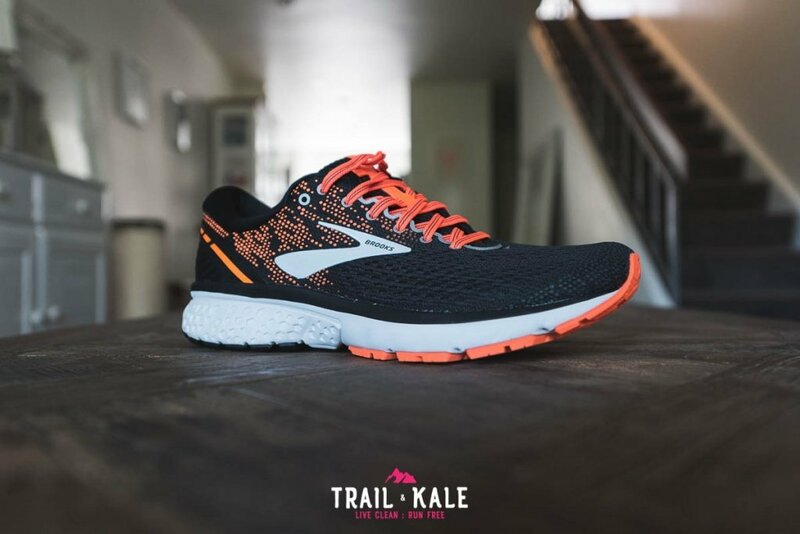 I’m fairly new to the Brooks brand so I’m excited to try some of their other shoes but for now, the Ghost 11 will be on my feet when I hit the roads. 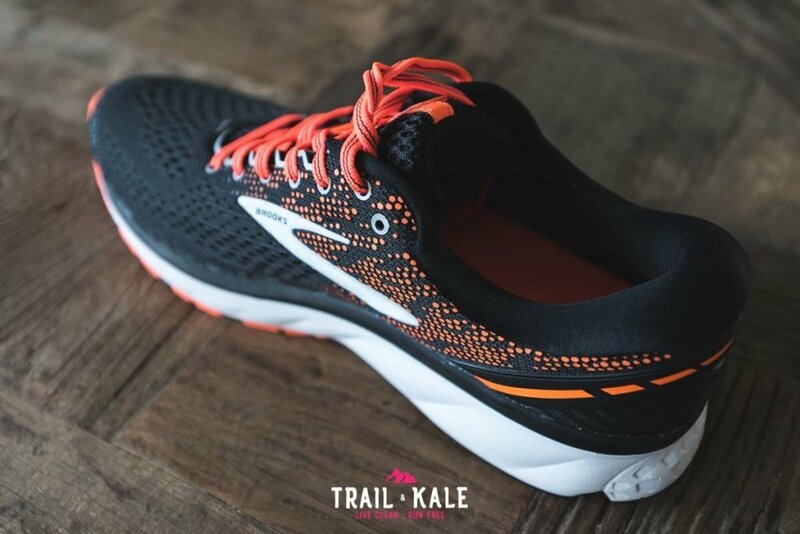 For $120, the Ghost 11 offers everything you could want in a road shoe and any runner who chooses to buy a pair is going to be happy with that choice.